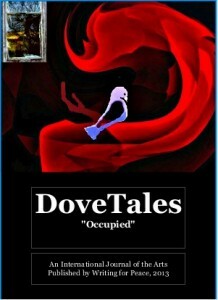 Two of my poems, “Lost in Thought” and “The End of Summer” are included in Dove Tales, an International journal of the Arts “Occupied” 2013. The theme for the issue was “occupied”. “Dilemma” and “A Forced Silence” are included in Dove Tales, Family and Cultural Identity, May 2016.